Wen hair products are a wonderful line of products by Chaz Dean. I was sent the cleansing conditioner and the volumizing treatment spray. 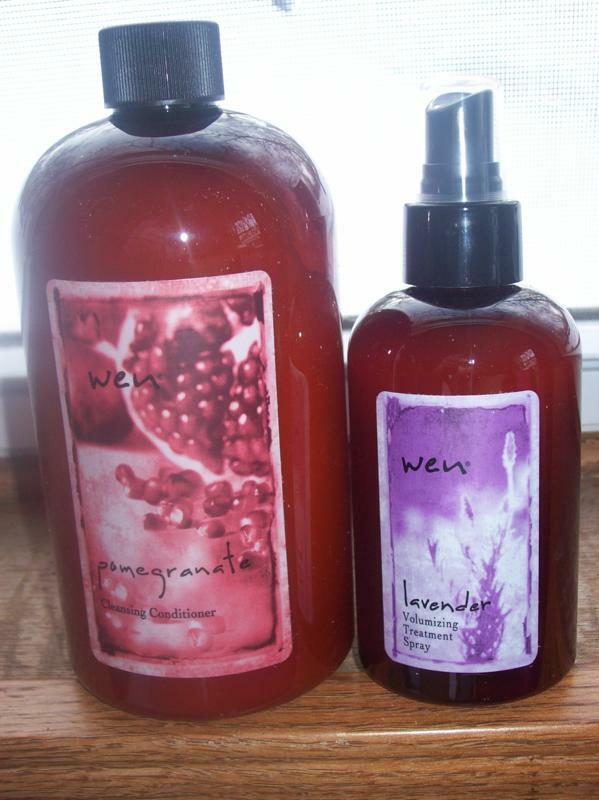 Here is a little information about Wen products: "Unlike many ordinary shampoos, Wen cleansers are made with natural ingredients and contain no sodium laurel sulfate or other damaging detergents. They don't lather; instead, they create smooth foam when mixed with water for shinier, healthier-looking, more manageable results." The conditioner works amazing! It made my hair extremely soft and smelled great. This product is unique because it cleanses and conditions your hair at once. After my shower, I spritzed my hair with the volumizing spray and after blow drying, it gave some nice volume. I love these products and will be using them every shower! I have been wondering if this stuff works! I would love to try it! A new follower from Follow Me Friday. See you. Thanks for the review. I've seen this product on the infomercials so many times, but didn't want to spend the money until I knew someone who actually used it. Thanks. Thanks for the review.. I have been on the fence on the product.